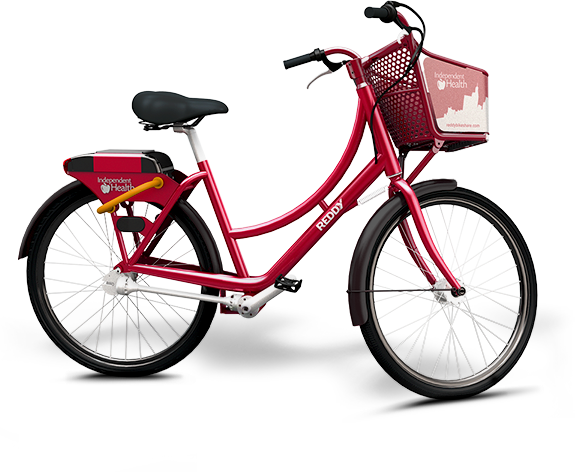 Reddy Bikeshare is the healthy, fun and easy way to explore the Queen City. Download the SoBi app on your mobile device, or on the web at app.socialbicycles.com and choose your pass to get started. Ensure that your phone’s GPS is enabled to find bikes available nearby. Use the app to reserve a bike or simply walk up to it and enter your account number on the bike’s keypad. When prompted, enter your 4-digit PIN to release the lock and start your ride. Remember to ride safely and obey all traffic laws. Best deal for frequent riders and for people who live or work near Reddy bikes. Explore the city with friends and family with just one registration. Use the “HOLD” feature if you need to lock the bike temporarily to avoid any parking costs. Put a bike on hold before locking it to a rack to keep it in your name. Your card will still be charged for the time the bike is placed on hold. Remember to ALWAYS lock the bike to a Reddy rack or a public bike rack. The clock starts on your trip when you reserve a bike via mobile/web. If you are an Independent Health member you are eligible for a 20% discount off the annual pass. Contact us at info@reddybikeshare.com to receive a promo code to use during registration. - Reddy bike stations: Pick up a Reddy bike from any one of our racks and park them here at no extra cost! Free parking zones: located on Elmwood Avenue in the Elmwood Village, Allen Street, downtown on Main Street, Broadway Market, Buffalo Museum of Science, Buffalo State College and Canisius College. Can’t find a Reddy rack? No problem, use any public bike rack in this zone and our mechanics will return the bike to a Reddy rack for you. Public bike racks: park at any public bike rack within city limits for only $2.00. We’ll bring the bike back to a station for you. Bounty bikes: Reddy bikes parked outside of their stations and outside of free zones are bounty bikes! Pick one up and return it to a station and you’ll receive $1.00 in riding credit each time you do so. At Independent Health, we’re bringing the Redshirt Treatment® to the streets through Reddy Bikeshare! We’re excited to bring 200 red bikes to Buffalo through our partnership with Shared Mobility, Inc. These bikes are there for your convenience, to help you get healthy and have fun at the same time. Reddy Bikeshare is just one of the ways we’re working to improve the health and well-being of all Western New Yorkers. In fact, we partner with a lot of other local organizations to offer exciting new ways to help you get healthy. That includes free outdoor fitness classes at a park near you every summer, health and wellness challenges with weekly prizes, educational events the whole family can enjoy, and much more. 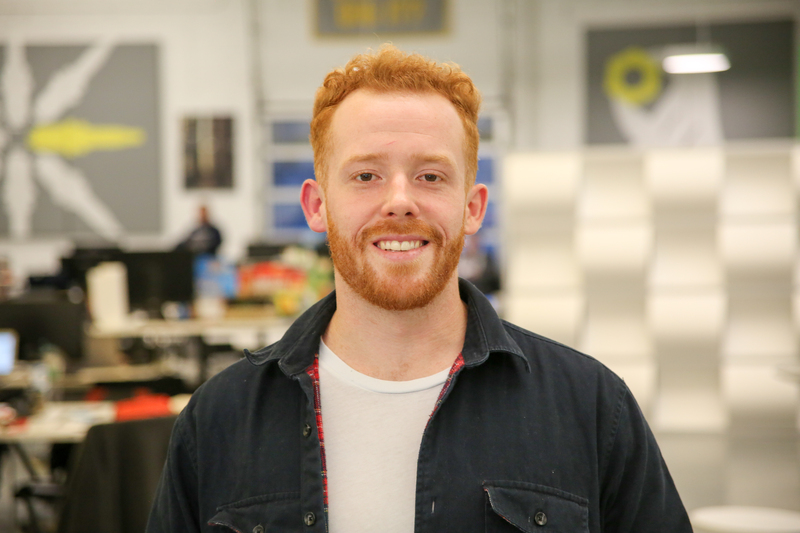 By putting our passion into action, we can help change the health of our community. After all, a healthy community is something that everyone can benefit from. So whether you’re riding a Reddy bike to venture and explore, fit in a quick workout, or as an alternate means of transportation, you’re helping us lead by example – and we applaud you for that. WHAT A program that offers the perfect vehicle to get around town whether it’s to commute to work, run errands, or just for fun. Reddy bikes are easily available to you on a short term basis and sharing them gives you the flexibility to return a bike to any designated location. WHERE 200 bikes are located at dozens of stations around the city of Buffalo. 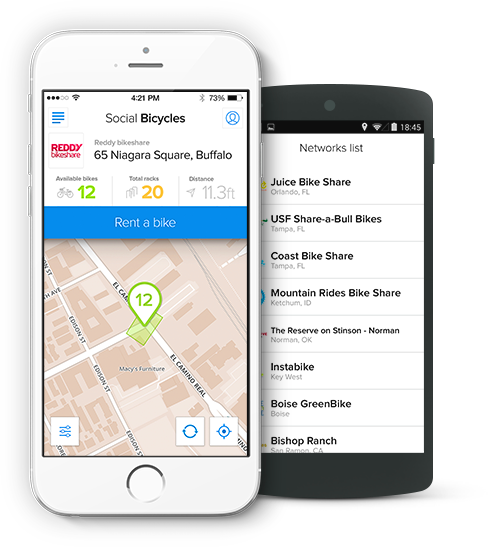 Look for Reddy racks near you by downloading the Social Bicycles app or check out our map. HOW Use your app or computer to login to your account, or simply visit a station to reserve a bike. Ride to your destination and lock it to any Reddy rack or public bike rack. It’s that easy! BENEFITS Bike sharing supports your health, the environment, and local businesses while also enhancing Buffalo’s transportation options. With the ongoing addition of new bike lanes and regularly scheduled group rides, Buffalo is very bike-friendly and easily enjoyed on two wheels. There’s a lot to do around town, from exploring the waterfront, to catching an outdoor concert or dining at a new restaurant. There’s no shortage of rides, events, and attractions to keep you busy during the biking season in Buffalo. We’ve assembled a list to get you started. Slow Roll Buffalo is a group bicycle ride that meets every Monday from May - October at 5:30 at a different venue each week. The slow pace keeps the group safe and gives riders a unique perspective of our great city and its neighborhoods. Learn more at their website. GOBike Buffalo is a local advocacy group and Reddy Bikeshare partner. Visit their website for a calendar of bike events near you including classes, workshops, events, rides, and more! 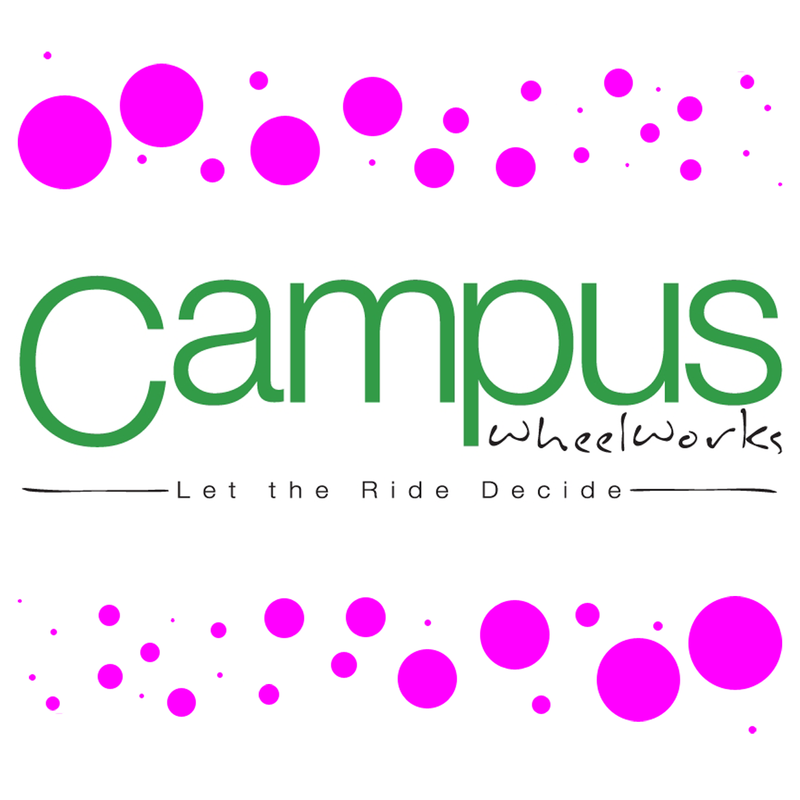 With weekly Tuesday night rides and a full calendar listing of events each month, Campus Wheelworks is a great resource for anyone that wants to to be more involved in Buffalo’s bicycle culture. Dining out in the City tonight? Take a Reddy bike to work up your appetite! Visit Larkin Square for Food Truck Tuesdays weekly from 5-8 and enjoy a wide variety of food from Buffalo- and Rochester-based food trucks! Plus, each food truck will be dishing out Healthy Options food choices! If you can’t make Food Truck Tuesdays check out a list of Healthy Options participating restaurants that you can bike to! Looking for more inspiration on where to ride? Check out all the events happening in Buffalo courtesy of Visit Buffalo Niagara. Visit our map to learn where to start a ride. Annual members of Reddy Bikeshare are eligible to receive one week of unlimited classes at Revolution Indoor Cycling. After your week is up you can take 10% off any class package, excluding unlimited packages and events. To redeem either offer, contact them by email at info@revolutionbuffalo.com. Any Reddy Bikeshare member with an active subscription can purchase a helmet from Campus Wheelworks for 20% off the retail price. Make sure to download the Social Bicycles app on your phone and login to view your active membership subscription. Stop by 744 Elmwood Ave. and show your active status to the Campus representative. Reddy Bikeshare is a program offered through Shared Mobility Inc., in partnership with Independent Health. 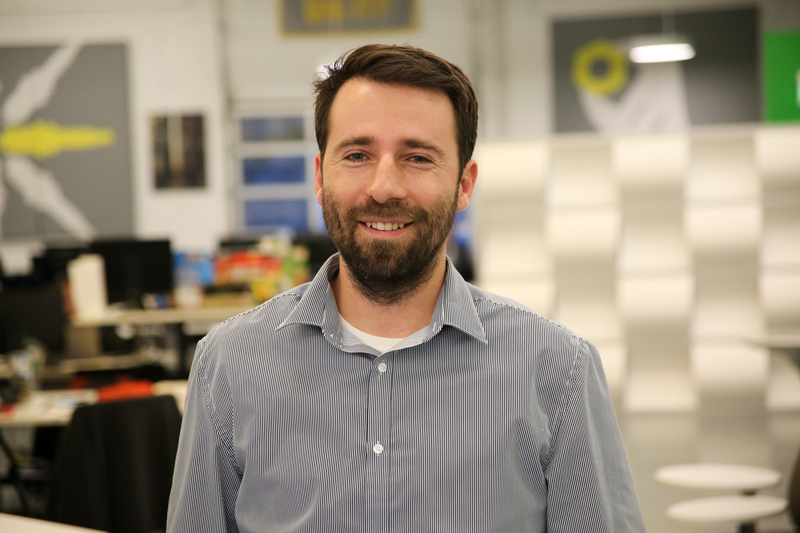 Shared Mobility Inc. is a Buffalo-based non-profit that advances innovative transportation services that focus on a shared model. Together, in partnership with Independent Health, we’re working toward creating a culture of health in Western New York by supporting recreation and exercise through bicycling. Reddy Bikeshare was born from the success of a similar pilot program that began in 2012 on a local college campus, giving Buffalo the honor of hosting the nation’s first GPS-based bikeshare program. Every Reddy member is eligible for a 30% discount on professional BERN Helmets purchased online. 1. To show your employees that you value them: Bike share is a creative and unique amenity that only a few employers in Buffalo can boast as an HR benefit. 2. Healthy body, healthy mind: Healthy recreation and transportation options during work hours contributes to a more productive workforce. 3. It will open the city up to your employees in new ways: Lunch breaks, work errands, and even transportation to and from the office will be more exciting for employees with access to bikes. 4. It’s not only an employee perk, it’s a lifestyle perk: Membership gets you 24/7 access to 200 bikes in 39 stations, available April - November. 5. Biking in Buffalo is getting better and better: Reddy Bikeshare continually works with a large network of enthusiastic individuals and organizations to promote for safe streets and bike friendly infrastructure. 6. Helps ease some parking woes: Traffic and parking challenges can be a headache during the work day, take a bike to ease those frustrations - especially in downtown Buffalo! 7. It’s great for morale: Biking is a great bonding activity for groups, and with Reddy bikes, you can track your own progress and have internal fitness challenges and contests. 8. It’s easy and streamlined: Sign-up in minutes with our app. Reddy bike staff is available to help get your team get signed up and start riding. Together, we will formulate an internal marketing plan to promote biking to your employees. 9. Support local: Not only does bikesharing inherently support the local economy, your partnership supports us; we are a bunch of Buffalo-born bike lovers, and we love working with the community. 10. Biking is fun: We don’t think this needs explanation, biking is just plain fun! Have a conference, group ride, or event coming up? Want to request a Reddy Bikeshare station in your community? 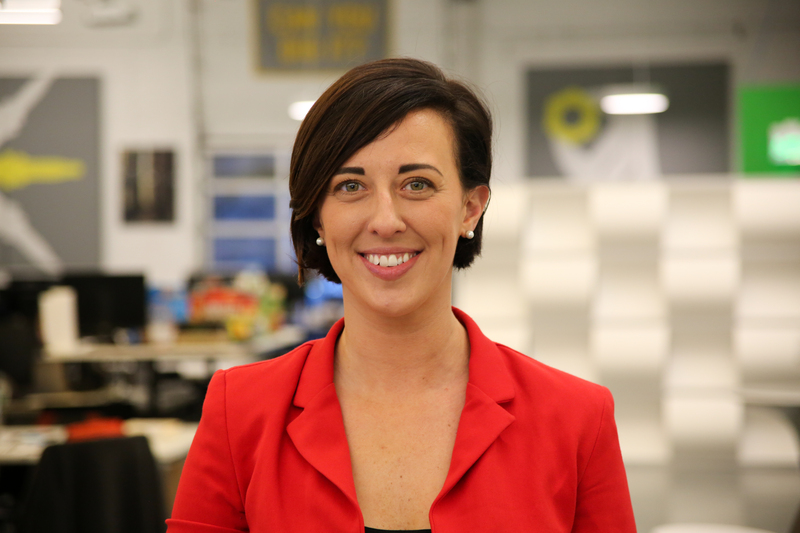 Interested in offering Reddy Bikeshare memberships to your employees? Subject please choose a subject I'd like Reddy Bikeshare in my community I'd like to learn more about Reddy Bikeshare I'd like to learn more about sponsorship Something else? Reddy Bikeshare is powered by Social Bicycles. Find bikes using our app!